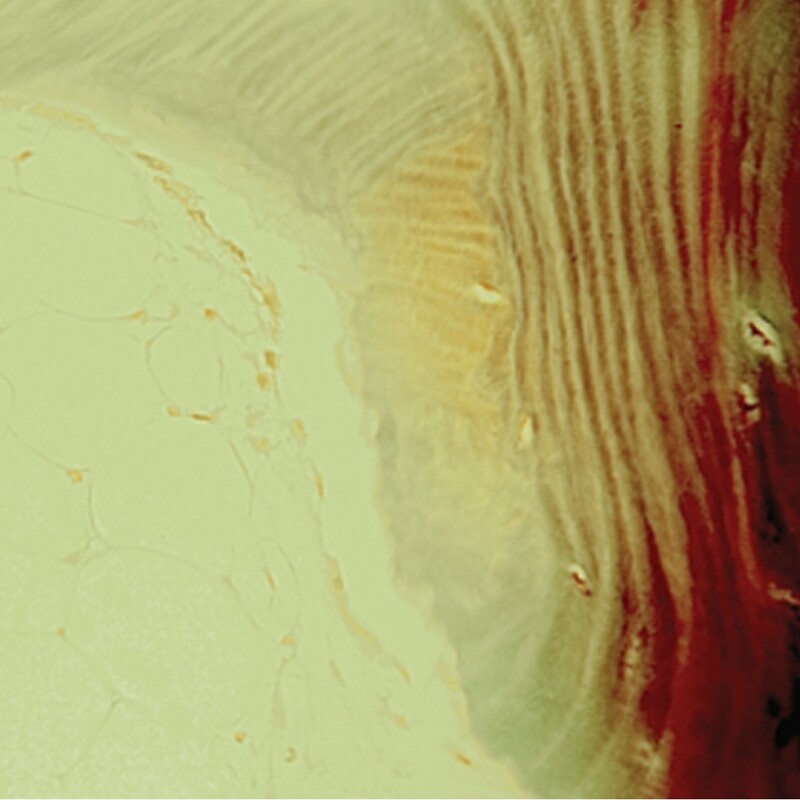 Villanueva Osteochrome Bone Stain | Polysciences, Inc.
Photo: Human degenerative joint disease, stained with Villanueva Osteochrome Bone Stain, 20X. Villanueva Osteochrome Bone Stain has been used effectively in research of new bone formation in hydroxyapatite implants and bone grafts. In addition, it is useful in the study of age-related bone loss, osteoporosis and different metabolic bone diseases. It can be used on undecalcified bone. Stains up to 180 slides.